Charles Burney was born on April 7, 1726 in Raven Street, Shrewsbury. He was the fourth child of James Macburney (1678-1749) and his second wife, Anne (née Cooper) (c.1690-1775). The family name of Macburney was changed to Burney about the time that Charles was born. Charles, along with his elder brother Richard, attended Shrewsbury Free School from 1737-1739. In 1739, Charles went to his father in Chester and began studies at Chester Free School. He had already showed musical ability and continued to learn. By 1742, he returned to Shrewsbury to be an assistant to his half-brother James, who was an organist at St Mary's Church. Charles enjoyed his exposure to musical performances at St Mary's. The following year he returned to Chester and continued to devote himself to further musical study. In 1744, Charles was introduced to Thomas Arne (one of London's top composers) and became his apprentice. As an apprentice, Charles gave lessons to Arne's students, copied out musical scores and parts, and occasionally played in the orchestra at Drury Lane Theatre. Burney was not personally fond of Arne: he felt that his master was selfish and immoral. In 1746, Charles encountered Fulke Greville, an aristocrat who engaged Burney in the capacity of a musical companion. Burney accompanied Greville to Bath and to Wilbury, Greville's country home. Greville paid Thomas Arne £300 in 1748 to release Burney from his apprenticeship. In early 1749, Greville was preparing for a lengthy stay in Europe and expected Burney to accompany him. Burney, however, had fallen in love with Esther Sleepe (c.1725-1762), and didn't wish to leave her, as she was pregnant with their first child. Burney requested, and was granted, leave to be released from Greville's employ so that he could marry Esther. Charles and Esther were married on June 25, 1749. Since his release from Greville's employ, Charles had no money or home to offer his wife, so he applied for the post of organist at St Dionis Backchurch, London. This position paid him £30 per year and also helped him to find music students. During this time Charles made his reputation as a performer on the organ, giving concerts and networking with London musicians. He and Esther became parents to a growing family, which included daughter Esther and son James (1750-1821). 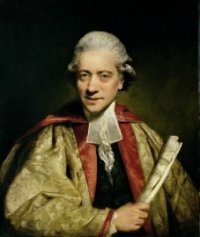 Though Charles Burney has not been remembered for his composition skills, he did write music consistently from the late 1740s through the 1760s, and occasionally after that. In addition to stand-alone compositions, he composed some songs for the stage. Much of his work was done in conjunction with his friend James Oswald (1711-1779), a violinist and publisher. In 1751, Charles contracted a severe fever which made him bed-ridden for thirteen weeks. During his convalescence, the Burney family moved out of London, to King's Lynn, Norfolk, in the hopes of further improving his health. Charles found a position there as organist for St Margaret's Church. A number of the Burney children were born in King's Lynn, including Frances (1752-1840), Susanna (1755-1800), and Charles (1757-1817). Though Charles found friends in King's Lynn, he visited London every winter, and clearly missed life in the metropolis. In 1760, the Burney family moved back to London. In September 1762, Esther Burney died after a long illness, and Charles remained a widower for five years. In October 1767, he married Elizabeth Allen (1728-1796), the widow of Stephen Allen, a wealthy merchant from King's Lynn. The couple eventually had two children: Richard Thomas (1768-1808) and Sarah Harriet (1772-1844). In 1769, Charles received the degree of DMus from Oxford University. The following year, he went on a tour of Europe, during which he visited France, Italy, Germany, and the Netherlands. His tour was motivated by a desire to collect material for what was to become the four-volume A General History of Music (1776-1789), but some of which was first published as The Present State of Music in France and Italy (1771) and The Present State of Music in Germany, the Netherlands and United Provinces(1773). After the success of these books, Charles invited readers to subscribe to his forthcoming A General History of Music. The first volume was originally scheduled for 1774, but was actually published in 1776, and the fourth and final volume was issued in 1789. His history was praised for its elegant writing style and for the fact that its author was in fact a practising professional musician. While much of Charles' intellectual life was devoted to A General History of Music during this period, he did continue to give music lessons, present a paper to the Royal Society, and deepen a friendship with Samuel Johnson. In 1783, Charles was appointed organist at Chelsea College. He also had ambitions to succeed at the royal court. He dedicated the first volume of A General History of Music to Queen Charlotte, and was very pleased when his daughter Frances was appointed keeper of the robes to the queen in 1786. After the publication of the final volumes of A General History of Music in 1789, Charles turned his attention to other literary endeavours. He was a contributor to the Monthly Review and to Abraham Rees's Cyclopaedia, and published the Memoirs of the Life and Writings of the Abate Metastasio(1796). In 1793, a serious attack of rheumatism sent Charles to Bath. In 1807, he visited Bath again, this time due to a stroke which paralysed his left hand. From 1813 onwards, he was largely confined to his rooms at Chelsea College. On April 12, 1814, Charles died. He was buried in the grounds of the College, along with his second wife, who had died in 1796. A memorial in Westminster Abbey was later installed, which has a glowing epitaph from his daughter Frances. On the rivalry between Charles Burney and Sir John Hawkins. Featuring Simon Callow as Burney and John Fortune as Hawkins, with contributions from Alvaro Ribeiro, Rosemary Sweet, William 'Bill' Weber, and Kate Chisholm. Brofsky, Howard. "Doctor Burney and Padre Martini: Writing a General History of Music. "The Musical Quarterly 65.3 (July 1979): 313-345. Burney, Charles. "The Cunning Man: A Musical Entertainment in Two Acts." The Clandestine Marriage, together with two short plays. Ed. Noel Chevalier. Peterborough, ON: Broadview Press, 1995. 165-185. ---. Music, Men, and Manners in France and Italy 1770. Ed. H. Edmund Poole. London: Eulenburg Books, 1969. ---. Dr. Burney's Musical Tours in Europe: An Eighteenth-Century Musical Tour in France and Italy. Ed. Percy A. Scholes. London: Oxford University Press, 1959. ---. Dr. Burney's Musical Tours in Europe: An Eighteenth-Century Musical Tour in Central Europe and the Netherlands. Ed. Percy A. Scholes. London: Oxford University Press, 1959. Burney, Frances. Memoirs of Doctor Burney: Arranged from his own Manuscripts, from Family Papers, and from Personal Recollections, by his Daughter, Madame d'Arblay. London: Edward Moxon, 1832. Grant, Kerry S. Dr Burney as Critic and Historian of Music. Ann Arbor: UMI Research Press, 1983. Klima, Slava, Garry Bowers, and Kerry S. Grant. Memoirs of Dr. Charles Burney, 1726-1769. Lincoln: University of Nebraska Press, 1988. Lonsdale, Roger. Dr Charles Burney: A Literary Biography. Oxford: Oxford University Press, 1986. Ribeiro, SJ, Alvaro. "The 'Chit-Chat way': The Letters of Mrs. Thrale and Dr. Burney." Tradition in Transition: Women Writers, Marginal Texts, and the Eighteenth-Century Canon. Ed. Alvaro Ribeiro, SJ and James G. Basker. Oxford: Clarendon Press, 1996, pp. 25-40. ---. "Real Business, Elegant Civility, and Rhetorical Structure in Two Letters by Charles Burney." Sent as a Gift: Eight Correspondences from the Eighteenth Century. Ed. Alan T. McKenzie. Athens and London: U of Georgia P, 1993, pp. 90-108. ---. "Prattling upon Paper: The Correspondence of Hester Lynch Thrale and Dr. Charles Burney." Studies on Voltaire and the Eighteenth Century 304 (1992): 934-37. ---. The Letters of Dr Charles Burney, Volume I (1751-1784). New York: Oxford University Press, 1991. Scholes, P. A. The Great Dr Burney: his life, his travels, his works, his family and his friends. London: Oxford University Press, 1948.